The leaves of a plant are thought of as the photosynthetic factories or food-producing organs of the plant. They are the major areas of photosynthesis and respiration. The blade is the usually broad, flat portion of the leaf where most photosynthesis and respiration take place. Other plant tissues can be photosynthetic, as well, but the majority of this process takes place in the leaves. Figure 7.8: Leaf of Dog Rose (Rosa canina), showing the petiole, two leafy stipules (outgrowths that appear on each side of the petiole), and five leaflets. The petiole is the part of the leaf that attaches the blade to the plant stem. Not all leaves have petioles. Grass blades are leaves without petioles, and leaves of broadleaved plants that attach directly to the stem at the base of the blade are sessile. A leaf with a single undivided blade is known as a simple leaf. A compound leaf is one that is divided into leaflets that share a petiole. That petiole is called a rachis. A compound leaf that is unbranched is known as pinnate, or pinnately compound. A bipinnate, or bipinnately compound, leaf is one that has a branched rachis with leaflets on the branches. Palmate leaves have leaflets arranged in a radial pattern from the end of the rachis. 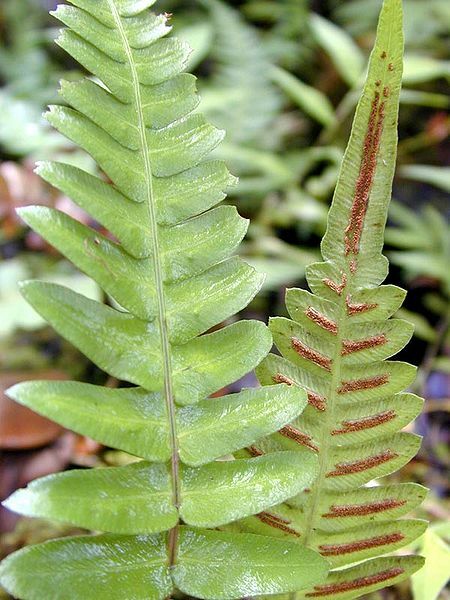 Figure 7.9: A pinnate frond of the fern, Blechnum appendiculatum. Figure 7.10: This is a bipinnately compound leaf of Delonix regia, royal poinciana. 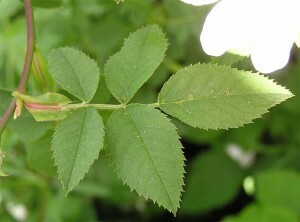 A bipinnately compound leaf is divided twice: each leaflet is subdivided into smaller leaflets. The pinna (pl. pinnae) is the name of the first division. The pinnule is the name of the ultimate division. 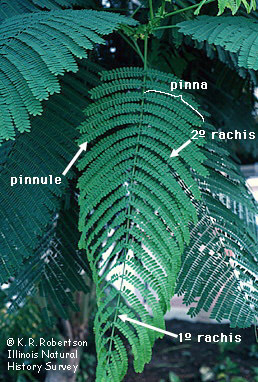 The pinnae are on the primary rachis, while the pinnules are on the secondary rachis. Entire margins are not divided; the outline of the leaf is a smooth line. Serrate margins are divided into small points of a regular size, giving the margin a saw-toothed appearance. A margin with teeth is divided into slightly larger points that may be less regular in size. Lobes are divisions that are deeper than teeth, but not divided completely into leaflets. Click hear to view a chart from Wikipedia illustrating leaf morphology terms. A stomate (or stoma, pl. stomata) is an opening in the epidermis of a leaf that allows gas exchange to take place between the plant and the atmosphere, including oxygen, carbon dioxide, and water vapor. Stomata are bounded on either side by guard cells that can change their shape to open or close the stomate to regulate the amount of gas exchange taking place. 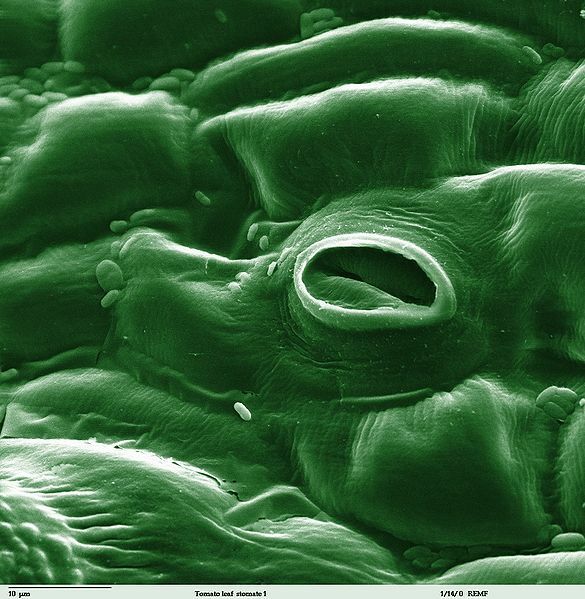 Figure 7.11: Stoma in a tomato leaf shown via colorized scanning electron microscope image.